With cutting costs at the forefront of most public sector organisations, Hudson Horticultural Ltd offer a wide range of landscape services at consistently competitive rates that offer value for money without having to compromise on service. Our experience in working with the likes of NHS, schools, colleges and local councils allows us to offer flexible specialist help to support our clients and deliver a professional service with a common sense approach. 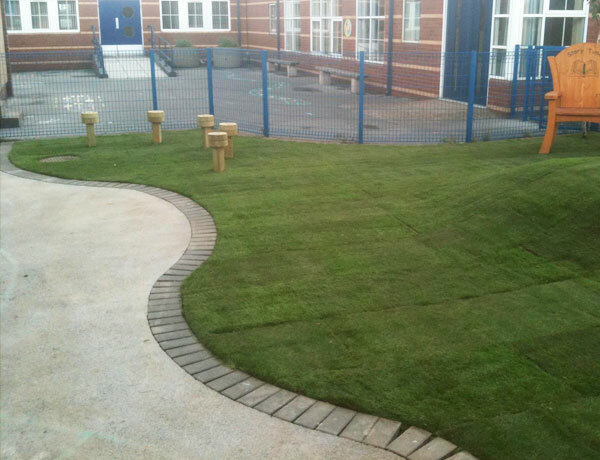 Our dedicated teams continue to provide an unequalled service of general landscape works, sports pitch marking, bench installation, fencing, site clearance, bulk waste removal, vegetation clearance, invasive weed control and much more. We work for local authorities, schools, and doctors. We can tailor our service to take account of school/operational hours, and most importantly the safety of staff, students and children. Our operators have been DBS (formerly known as CRB) checked, and have appropriate certificates for operations.